Canaan is all new and a ton a fun, featuring a 1.3 mile course with a 1300 ft straight with a banked 30 degree kink in the middle. This 12 corner track has banked, uphill, downhill and off camber corners that create a fantastic experience for riders at all levels. at these events. This is the place to start your track experience! or ride both days ($450 for June 1-2). Friday June 28 TBA details. 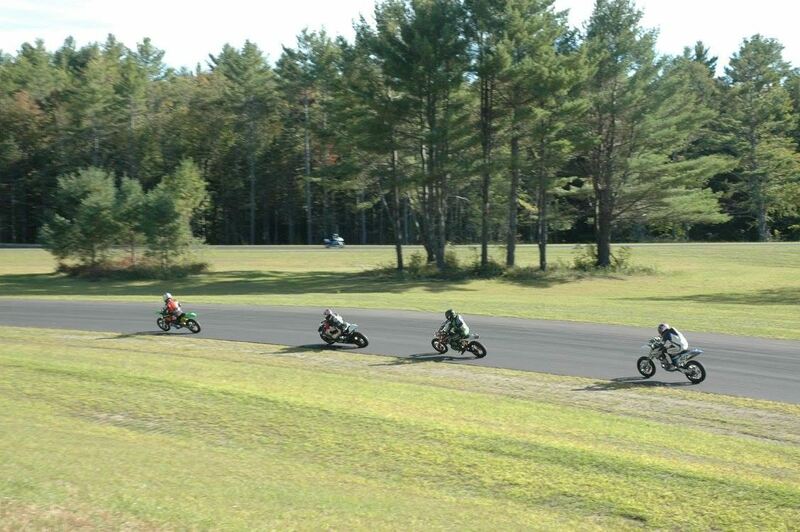 Saturday of each event will feature NESBC races (fun, sportsman "racing") at the end of the day. Details at the bottom of this page. Complete details coming, but these Friday afternoon events will be focus on in bringing Youth and New Riders to the track in a special, small class size with close coach interaction and complete adjust-ability in the curriculum. Young riders, new riders and small bike riders (just about any size) are welcome here! Younger riders (10+) If you have a kid who has wanted to try riding the track but is not comfortable/ready riding with all the big bikes in an open group, then this is your place! Our aim is to give these kids an opportunity to ride, and to try the track in the lowest pressure, most relaxed environment possible. IMPORTANT: Parents of riders under 18 please email info@penguinracing.com a resume of any potential participants outlining their motorcycle experience. Riders under the age of 14 need to be individually approved before participation. All riders should already have confidence in the operation of a motorcycle. You will also need to either have both parents present or fill out forms that must be notarized prior to the event. Newer Riders - if you know someone who is licensed for the street but needs some confidence building, this is the group for you! Penguin believes strongly in the value of learning the right skills early. 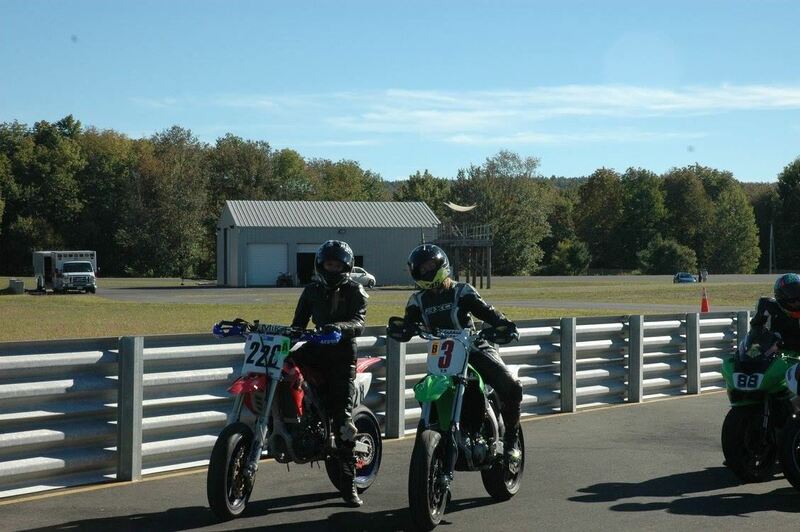 The track is a fantastic opportunity to get the repetition and feedback and build the skills that not only make riding fun but can also help save you on the street! Small machines: We've had several riders (Grom's, Z125's, XR100's and some vintage machines) who were looking for a place to ride these slower machines on the "big" tracks. Canaan is the perfect venue for all these groups. If you've got a bike that fits this bill - come play with it here, you'll love it! Friday Special Practice Group - Watch for details coming about this group. This is going to be a small and likely invitation-based practice group for riders who want to alternate track time with our YNR group riders on Friday afternoons at Canaan. We have a number of dealers planning to bring groups of riders to these days. If you would like to put together a group of riders from your shop, or if you are a riding club member who wants to organize a day at the track, please feel free to email us at info@penguinracing.com or call us any time! What is NESBC all about? NESBC races are optional for all participants - you can "race", join the session after the start or just enjoy watching. Note: this is SUPER low pressure, and most riders elect to come play in these session. It's AMAZING fun!! Purse paying Formula Ultralight (300's & 400's) and Motard races are $35 for pre-entry, $40 for entry at the track. NESBC Teams? Camaraderie, Fun, Prizes and Cash Payout!! NESBC has classes for riders at all levels; 2 street, 2 intermediate and 2 expert classes. The Team Championship encourages up to 4 riders (plus and optional "Mentor") to work together towards fun, improvement and prizes. Points are awarded in each class, and each Team can only have one points scoring rider per class. This encourages expert, intermediate and beginner riders to form teams help each other all day long! Rewards are huge! In addition the relationships and good times when working together, there are also individual Class Championship prizes and a Team Championship with a $1,000 cash payout at the end of the season.